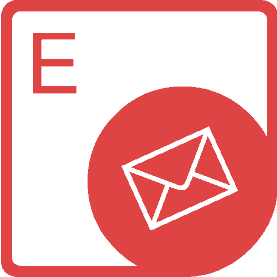 Create, Manipulate or Convert email formats including MSG, EML, EMLX and MHT within Python applications. 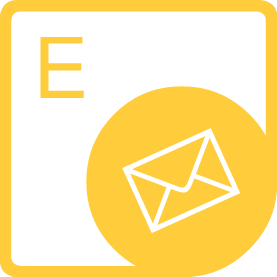 Aspose.Email for Python via .NET is a flexible and powerful email programming API. API saves time and effort to create, manipulate or convert most commonly used email message formats without worrying about the complexities of the underlying format implementation. The Email API can be used for basic email management features such as message content editing and attachment manipulation as well as for its advanced features such as management of the message storage files, sending & receiving emails via a number of protocols including POP3, IMAP & SMTP.  An overview of Python Email messages processing API such as calendar features, email validation, and message storage files manipulation capabilities. Aspose.Email for Python via .NET can be used on Windows with Python 3.5 or higher. Python Email API supports native Outlook file formats as well as common email formats. Aspose.Email for Python via .NET is a good choice if you are looking for an API to inter-convert message files. It provides easy-to-use interfaces for the conversion process while hiding all the ugly details of the underlying format specifications. All you need to do is to load the source file in Aspose.Email object model and call the Save method with appropriate parameters. It is really that simple! Aspose.Email for Python via .NET provides the capability to create and save Outlook Calendar objects in MSG and ICS formats. Not only you can create and save iCalendar objects, but you can also send, retrieve, update and cancel meeting requests. Moreover, the API allows you to dynamically produce & consume recurrence patterns in iCalendar (RFC 2445) format via an intuitive object model. 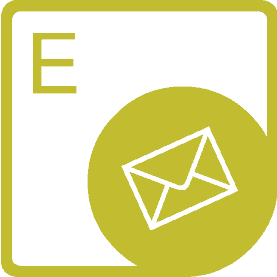 Aspose.Email for Python via .NET API empowers you to create, send and receive emails using SMTP, POP3 and IMAP protocols. It allows you to log into POP3 servers by username and password or APOP authentication to perform email operations like: view mailbox size and messages count, retrieve the full message or its header, delete messages from server as well as basic POP3 commands. Aspose.Email for Python via .NET also supports IMAP protocol including its commands as well as authentication, create, delete, select, query folders, get, delete, save messages and manipulate message flags. Aspose.Email for Python via .NET allows you to manage Outlook storage files such as PST & OST. You can perform a number of operations on existing storage files as well as create new PST files from scratch. Possible operations include folder listing, message listing, extraction of messages and contacts in MSG format. Along with Outlook storage files, Aspose.Email for Python via .NET also supports Mbox file format. You can use Aspose.Email for Python via .NET to load existing Mbox files and extract message information. Why Aspose.Email for Python via .NET?